¨THE SCHOOL OF MARY!¨ This was Saint John Paul II’s simple yet profound description of the Holy Rosary. In the same spirit Fr. Edward Looney offers us this devotional book that can help us to “pray the Gospel,” guided by our Holy Mother. Through A Rosary Litany, Father Looney revives a way of praying the Rosary that we have forgotten in America, that highlights the Scriptures to come to know Jesus with Mary. This is a fine and practical help for us to pray more deeply. 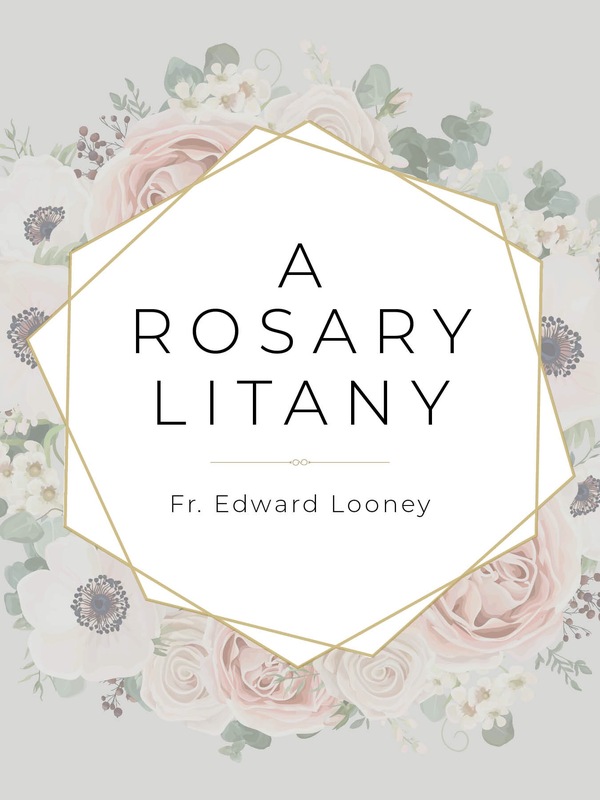 Whether you’re a rosary pro or a reluctant pray-er, A Rosary Litany will be an indispensable guide for helping you grow closer to Jesus through Mary.